Q: My doctor says I have high cholesterol. What can I do to lower it? Cholesterol is a component of animal products and is not found in plant-based foods. It is necessary in the body for the production of bile, which helps digest fats, and steroid hormones (e.g. vitamin D, estrogen and testosterone). While the body utilizes cholesterol for important functions, the liver is also able to synthesize necessary amounts – it is not necessary to ingest it as part of your diet! Total cholesterol, LDL and triglyceride levels that are too high put you at risk for cardiovascular disease. Let’s focus on LDL cholesterol, since it has been linked to atherosclerosis, coronary heart disease, heart attack and stroke. Several factors influence LDL levels, including age, diabetes, obesity, reduced estrogen levels and diet. Diets high in saturated fat and cholesterol elevate LDL. In addition, trans-fats can raise LDL and lower HDL (“good”) cholesterol – a double whammy! Lower your saturated fat intake! Saturated fat intake has a much greater negative effect on blood cholesterol than does dietary cholesterol. (Dietary cholesterol, however, is often found in the same foods that are high in saturated fat.) Choose lean meats, select skim milk, low-fat dairy products and stick to vegetable oils that are liquid at room temperature (e.g. cook with olive or canola oil, rather than butter or lard.) To further cut back on fat intake, remove the skin from chicken before eating, substitute margarine for butter and grill or bake fish, meat and poultry instead of frying. Eat a minimum amount of trans-fat. Select products that are made with no hydrogenated (or partially hydrogenated) vegetable oils. Check the ingredient list before buying!! 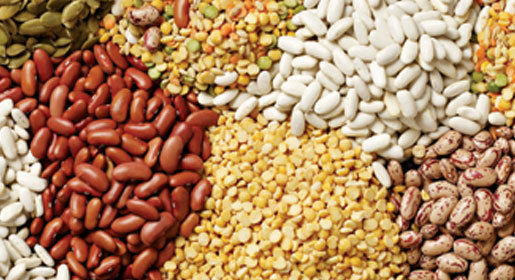 Lastly, up your intake of viscous or soluble fiber. Choose more fruits, vegetables, beans and whole grains, especially barley and oats. While there are several ways to manage blood cholesterol levels with medication, try modifying your diet first. Just a 1-point decrease in your LDL cholesterol level corresponds to a 1-2% decrease in your risk for developing coronary heart disease!